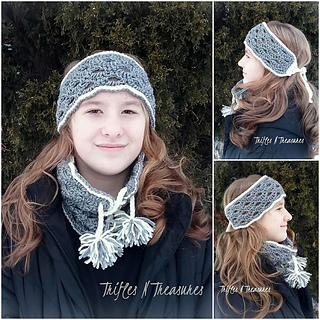 The Victorian Elegance set is coming your way to keep you warm, without being overly fussy…No need to muss your hair with this simple tied ear warmer and lace-up cowl, in 3 sizes for Child to Large Adult! Perfect for southern and northern winters alike. Works up fast, with less than one skein!